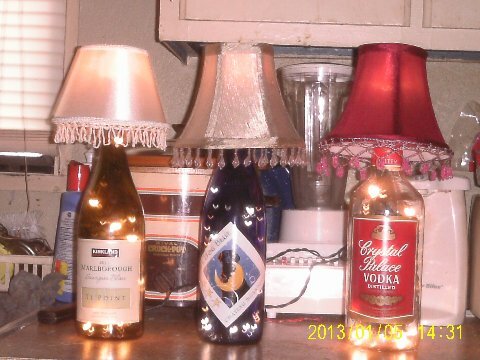 Marsha sent us these pictures of her finished bottle projects. 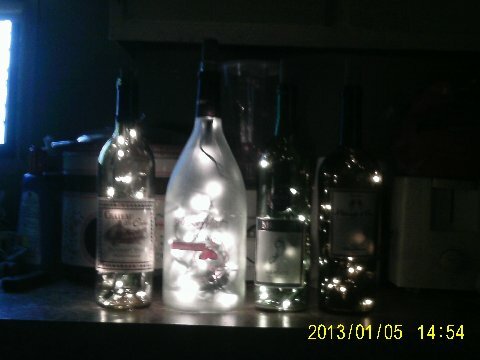 With or without a lamp shade these recycled bottles look great! Send an email to contact@jagerfoods.com with your picture(s), your name and a description or any tips you would like to share with us and our readers. If you have a blog you can also include the web address, we will link back to you.